You want to your map to automatically determine the best zoom level and center, so that it can show all hotspots on the screen at once? 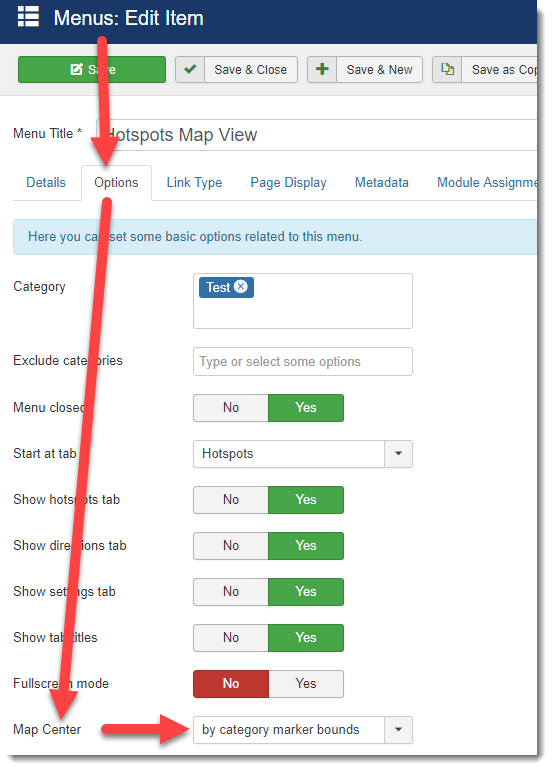 Login into your backend-> go to Menu -> (select the appropriate menu)-> select your Hotspots menu item link. Click on it and in the settings set the "Map Center" to "By category marker bounds".